Of all the places to clean in your house, the bathroom is often the trickiest to maintain. Grime, mold and mildew can easily build up in that small space, not to mention all those pesky particles that just happen to come from everyday use. How do you keep an area like your shower, that is so vital to your daily routine, clean? It’s not as difficult as you may think. In fact, investing just a small fraction of your time each week into cleaning the space will leave you feeling refreshed and rejuvenated. And forget hard scrubbing on your hands and knees – try these quick tips for a sparkling shower today. Cut It Out: It’s no secret that your shower curtain is the perfect breeding ground for mold and mildew, so take a pair of shears and cut off a few inches from the bottom of the drape. This will help reduce the ability for fungus to grow, and help with any discoloration in your shower. Let It Soak: Cover your showerhead with a bag of vinegar, and secure the bag tightly with a rubber band. Leave the bag overnight to soak, and by morning you will have a clean shower head to enjoy! Wipe It Down: Once a week, prepare a bucket of warm water with a few tablespoons of lemon juice and use a rag to wipe down the walls of your shower. This concoction will cut through any buildup from soap or mildew, leaving you with shiny walls and a fresh scent. Drain It Daily: The cause of most shower messes are due to water buildup. At the end of your shower each day, use a squeegee to coax excess water down the drain quickly and efficiently. 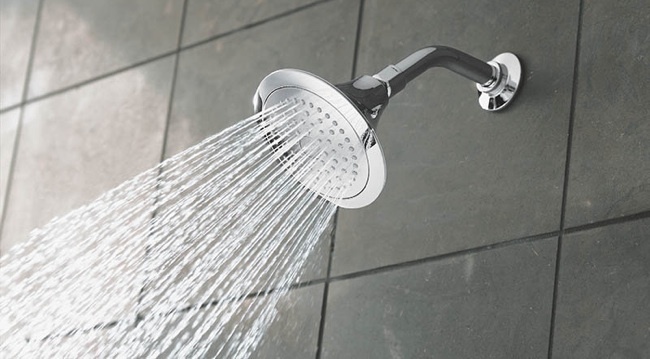 Without water backup to fear, your shower will say cleaner longer. Your shower takes care of you and your family, so take care of it by keeping it clean. Cleaning your shower does not have to be a hassle either. Simply spending a couple minutes a week giving the space a wipe down or clearing the drain of excess hair can go a long way to ensuring a happy bathroom.